Food Container 9-Piece Set Just $19.94! Down From $40! You are here: Home / Great Deals / Amazon Deals / Food Container 9-Piece Set Just $19.94! Down From $40! At Amazon, you can get this Food Container 9-Piece Set for just $19.94 down from $39.99 PLUS FREE shipping with Amazon Prime or for orders $25 and above! The Sistema Bake It range is designed to keep all your baking and ingredients fresh. 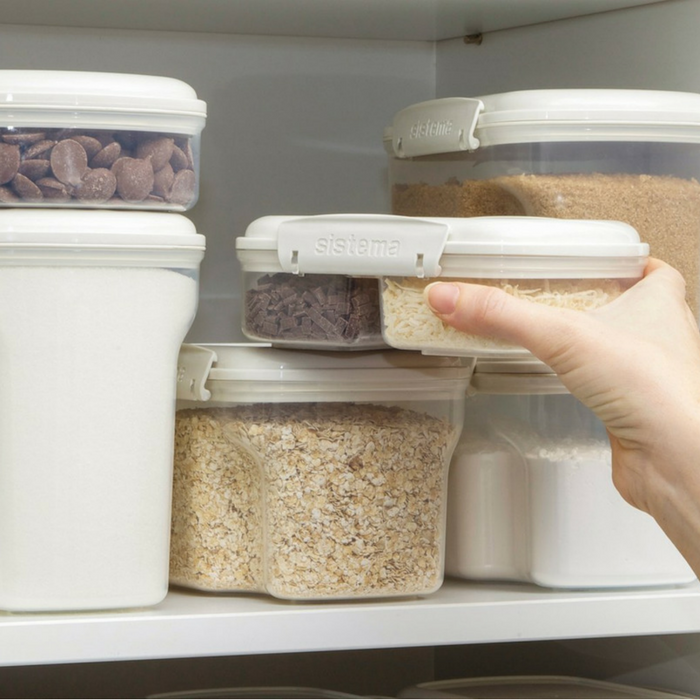 Featuring Sistema’s patented easy locking clips, and designed to stack for a tidy and clean kitchen. Created with the baker in mind, they feature sculptured grips for easy handling, and are designed to hold standard sized bags of baking supplies.